home / STARTicles / What is a DBA and Do You Need One? Having trouble naming your business? Confused by how to incorporate and which type of business entity to choose? We cover the best courses of action in our Startup Guide, but there’s an alternative to incorporating based on how you choose to brand yourself: The DBA. That depends on the type of business you have and how you present yourself. The sole proprietorship is probably the most in need of a DBA. It’s always a good idea to keep your personal and business monies separate. As a sole proprietorship, it’s tempting to simply operate your business under your personal name, but such an action ends up mixing business with pleasure and robs you of the benefit of letting potential customers know what it is you actually do. You should operate your sole proprietorship under a name other than your personal one, and once you choose to present your business that way, you can’t open a bank account or get paid for your services or products until you register as a DBA. Business entities, such as corporations and LLCs, must register a DBA if they wish to operate under a different name. More often than not this is an issue of name recognition and branding. When you first started your business, you might have chosen a broad and somewhat generic company name. It’s a common and recommended practice because your first efforts typically involve simply getting your company off the ground quickly and painlessly. 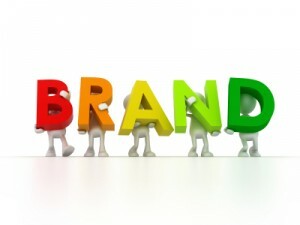 Once you’re more established and have created a brand for whatever product or service you sell, chances are you will want customers to recognize your brand and not your corporate name. For instance, if you start out as “YYZ Ventures” and then begin selling a line of cleaning products called “Grime Blasters,” you want the general public to know you for your great product name, not the corporate name that tells them very little about what you actually do. In such a case, you wouldn’t have to change your corporate name, just file a DBA registration for Grime Blasters and you’re good to go. When is a DBA not a good idea? There’s always a con to almost every course of action, and if you are a sole proprietorship and not incorporated, you won’t get the liability protection that comes with being some type of corporate entity. Registering a DBA is a quick and cheap task that you can probably do yourself. Simply Google “DBA” and your state’s name and you will find information on how to register. If you would like additional help, you can use an online legal service like LegalZoom. It serves all 50 states and can help you navigate the DBA rules that tend to vary depending on your location.